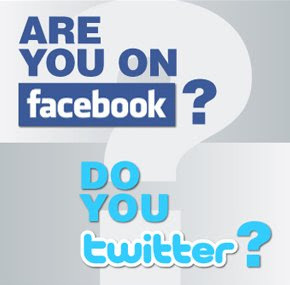 I have been beating up (I mean coaching) my ministry author clients to really get involved (engaged) in social media. It starts with listening! And then participating! Commenting! It starts with putting your head in the game. Getting a game plan. Quit "screaming" in an empty cave and come out and hear what others are talking about & add to the conversation - and in turn - you'd be surprise how much buzz YOU can create! Well, get that and get "Engage" too - when it comes out. It's from my "PR 2.0 colleague," Brian Solis. "It's no longer an era of business as usual. Executives and entrepreneurs must embrace new media in order to not only compete for the future, but for mind share, market share, and, ultimately, relevance. This book helps you engage. Without it, you're competing for second place." "Affinity is personal and emotional. Without personifying the company and what it symbolizes, it's difficult for customers to connect with your brand. The concepts from this book can help your brand engage in a way that inspires communities to extend your message, promise, and reach." "The power of the top-down, A-list influencer is winding down. Now brands must engage on a direct-to-many basis. Social media makes this possible, and Solis makes this happen. Read his book or be left in the dust." "Social media is changing everything about the way people relate socially, in commerce, and in politics. Engage gets you up to date regarding current trends and technology, and shows you how to build a serious social media strategy. It's the real deal." "Before Solis, I was cluelessly competing in the attention economy of the twenty-first century. 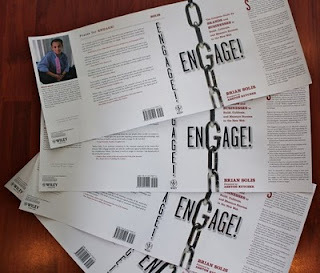 Solis's Engage provides me with the intellectual capital to build relevancy amidst our cacophonous culture. This book is worth its weight in attention—the digital gold of the twenty-first century." Social media has democratized influence, forever changing the way businesses communicate with customers and the way customers affect the decisions of their peers. With platforms like Twitter, YouTube, and Facebook, anyone can now find and connect with others who share similar interests, challenges, and beliefs—creating communities that shape and steer the perception of brands. Without engagement in these communities, we miss major opportunities to shape our marketing messages. There are thousands of customers waiting to hear from you about your business and vision. It's the minimum ante to create a vibrant and loyal online community. When you engage, you will build an authoritative social network that increases your visibility, relevance, influence, and profitability. Join us! Join the CPN and get connected! INTERNET MILLIONAIRE reveals his money-making secrets. FAMOUS INTERNET MILLIONAIRE reveals his money-making secrets. TV & Radio Publicity Secrets for Women in Business! How to build media buzz, get major publicity & become a household name even on a shoestring budget. This is Synergy Energy! - Monique Caradine is a strategic partner of mine. Working together works. She's in ChiTown & I'm in Motown. By popular demand, Chicago's own TV & Radio Personality Monique Caradine is once again hosting TV & Radio Publicity Secrets for Women in Business How to build media buzz, get major publicity and become a household name even on a shoestring budget. As a producer, host and frequent guest on local and national TV & Radio programs, Monique sees the mistakes publicity-seekers make all the time. 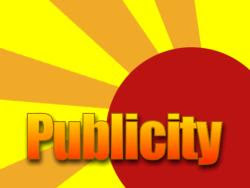 During this two-hour workshop she will reveal the new rules for getting publicity. You'll also get insight from several of her media colleagues currently working in syndicated radio, national print outlets and local TV. They'll give you the dos and dont's of pitching the media and help you gain a huge publicity advantage over your competition. Are you ready to make this your year? Then join Monique Caradine for this info-packed teleseminar. It's all done by phone from the comfort of your home or office...and the price is ridiculously reasonable!! I suggest you take her teleseminar. In an era of online news magazines, blogs and 24-hour news stations, having a publicity strategy is a no-brainer. The opportunities for experts, authors and businesses to get media exposure are endless. The competition, however, is extremely fierce. So how do you grab the attention of media gatekeepers when they are routinely flooded with pitches from people looking to leverage the power of publicity? TV/Radio personality and media consultant Monique Caradine says mastering what she calls the “new rules of publicity” is key. Having hosted and co-produced several TV & radio shows over the past decade, Caradine has combed through thousands of pitches, press releases and media kits. Because of common mistakes, the vast majority wind up in the so-called circular file. “We live by deadlines so the goal is to identify guests with unique, compelling stories in a matter of 5 seconds or less,” she said. Unfortunately, far too many great stories and guests get overlooked because most people don’t have a clue of how to get the interest of the media. “Even some publicists don’t know how to pitch correctly,” Caradine said. On her list of common mistakes publicity seekers make Caradine sites the following: press releases that are too long, too promotional or simply not newsworthy and pitches that are boring, off topic and have nothing to do with the overall focus of the show. 1.) Tell a compelling story or solve a problem, don’t just promote! Ten years ago it was okay to use a press release to announce a new product or new hire. Now, nobody really gives a hoot about that. Your press release has to do more especially since journalists are not the only ones privy to them. Always assume that your target market is reading your release. Tell a story or solve a problem that resonates with them and speak their language. 2.) Be edgy, vulnerable and honest. When you decide to go after media exposure, your willingness to push the envelope will get you noticed. Share the good, the bad and the ugly. Then tie your overall message into that. Done correctly, this strategy will get people buzzing about you. 3.) Make yourself magnetic. It’s cool to pitch a story to the media, but it’s even cooler to have them come to you. 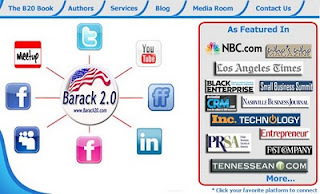 Diversifying your publicity arsenal by using social media can help you become a media magnet. Not only will you draw the attention of your target market, but strategically using tools like Twitter, Blogs, YouTube and FaceBook will put you on the media radar. Couple this with some old school publicity tactics and you could position yourself as a potential “go-to” guest for the top local and national media outlets. In 1998, Caradine became the youngest midday host at Chicago’s WVON radio, headlining a cutting-edge and award winning show. In 2003 she left to launch Momentum Media Group which provides media training and consulting to female executives, authors and entrepreneurs. Caradine has been featured on CNN, FOX and National Public Radio. She is also a noted speaker and workshop facilitator. She currently hosts and co-produces Perspective, a weekly news affairs program airing on FOX affiliate My50 Chicago. Her upcoming teleseminar called TV & Radio Publicity Secrets for Women in Business: How to build media buzz, get major publicity and become a household name even on a shoestring budget takes place Friday, February 26, 2010. For more information, Click her website here. Writing a book? Want to know how to publish non fiction books? Every one of you wants to know how to write and sell a good book. And, if you compare self publishing with New York publishing, you already know that with a little help from a book coach or mentor you can create self publishing success. You can start with the following self publishing tips and resources that will propel your book sales! You have choices: traditional book publishing and getting a literary agent, partner publishing, and self publishing, writing a print book or an ebook or both at the same time! Before you even think a New York publisher, you have to contact an agent.That is a long journey too. You first need to find an agent who represents authors like you in certain genres or topics. You also need to find out how many clients your agent serves. You want someone with 30-40 clients to know that he's good, but not over 80-90 because that spreads him or her too thin. •They only want and promote big names because they these home run authors make money for them. •They want people who can travel and market well. •They spend only a few months with a new author--book tours that may or may not help. •They take up to two years to get your book out to your audience. •You must pay back all advances for book tours and their minimal promotion from your 15% royalties. •They do not promote the author at all. You must do the PR yourself-the flyers, the press releases, the talks, and easy online marketing techniques. As a book coach, I advise not going this route unless the publisher can sell at least 25 times the books you can sell on your own. With the internet to help us authors, when you sell on your own website, you don't ever need those expensive ISBN numbers. 2. Partner Publishing Helps the Author with Details. These kinds of publishers which include YowBooks can help you get your print book on Amazon and other book seller sites. They include editing help, book cover help, ISBN numbers,and get you to market fast. They want books from authors who are able to market themselves to brand their small business of speaking, coaching, consulting service, or selling a product. They offer royalties from 25% to 50% usually. Make a few contacts and see if this kind of publishing suits your needs. Like myself, who has written, self-published, and sold 40 short books, both printed and eBook versions, you will love this publishing version because you spend little time and money and make a lot of profits. Your book makes you and your company visible. You make a difference in your audience's lives and get your book into their hands within a month because you wrote a short book around 100 pages that your target audience loves because they don't want to spend a lot of time reading. They'd rather skim to get main points.They want books that are easy to read. You do what you do best and hire the rest. Get help from a professional book coach who knows book chapter writing with the WOW factor that keeps your readers turning pages, book writing, book marketing, especially online marketing. She can recommend reasonable and professional editors that suit your book, cover designers, other services and marketing help from reliable people. Your cost is minimal and with a little help you save expensive time and money mistakes and raise profits to an all time high. •You keep great cash flow and all the profits. •You have all the control, cover/title. •You build your client base and credibility. •You are known as the savvy expert in your field. •You can sub out work you don't know how to do. •You can print your books through POD--Print on Demand. Costs can be below $500 since you print fewer copies. •You spend less money and spend less time marketing online. •You simplify book marketing and sellingwith your own web site. 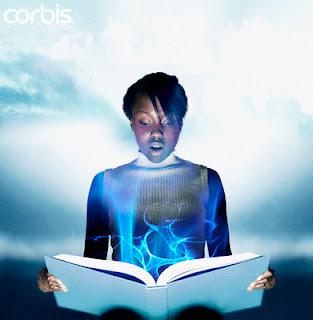 Electronic Books are Even more Profitable to Self Publish. eBooks require no packaging, no printing, no mailing, no travel and trips to the post office. Sell your ebooks from email promotions or from your web site to reach your target audience easily and fast. 1. You write the wrong book first. If you want to know how to write a business book, you know your audience is entrepreneurial and wants a problem solved. This is the audience that buys most books, so if you know a lot about a topic they want help on, write that book first. Then use that money to fund your fiction or other book. Write the book your audience wants and needs to read.This hints that knowing your target audience is a pre-hot selling point to know before you write a single chapter. Then, your book has an angle and is more likely to stand out from the crowd. 2. You write a second and third book before you market the first book. Every author/client I know gets a lot of book ideas before their first effort is finished. STOP! Wait a year or two to create new print, ebooks, CD's or cassettes. Because you need to learn free book marketing and develop a book marketing plan that includes online book promotion before you write another book. Unless you include a marketing strategy online with traditional marketing, your book will languish where you store it. Or, if an eBook, no one will see it because you didn't do self publishing distribution. Remember you can only market well one book at a time. You must make each promotion whether by email or by blog for only one thing at a time. Just because your first book isn't selling well doesn't mean you should write another one--that if the new book doesn't get book promotion attention, it will not sell well either. 3. You don't get help on a WOW book cover. Yes, we self publishers can't do it all well. Be sure to read informative free book coaching ezines that give top resources for this important hot-selling point. It's the number one reason people will buy your book. So, you need to know what colors, fonts and titles to use. If you want an eBook cover, as a bookcoach, I suggest maxcovers.com or if you want a quality print book cover, I suggest you check out georgefostercovers.com. 4. You don't get editing or bookcoaching help at the front end. If you want your book to attract long term customers, make each chapter title shine with keywords or strong verbs. Inside each chapter, use headings to compel your reader to keep reading and make your book easy to read. Long paragraphs turn your modern reader off. They are busy and want to skim nonfiction and how to books. At the end of your journey, you'll want some line editing to catch typos and simple grammar mistakes. Even professionals need editing because a pair of fresh eyes will see things you aren't aware of--those writing sins we all take with us from school or our profession. 5. You fear the internet and stick to old standard book promotion. Maybe you use press releases and book signings or applied a $2000 guru's Amazon marketing techniques or other guru approach. That money may be well spent other ways. Unknown authors of mainstream books such as health and fitness, relationships, financial security have big competition from "Big Shots" or famous authors. You need an author advocate who will point you to a more independent path--the one of marketing on the internet. The simplest and most profitable approach is writing articles and submitting them (article marketing) to high traffic websites. You are writng a book, taking excerpts and turning them into short articles work so well. Now you know you don't have to do it all yourself. Choose carefully--get advice from a full service professional book coach who knows the whole picture of self publishing pros and cons and hasn't just written a book or two, but has written how to books on book writing, book publishing and book marketing, especially online because it's so much easier and cheaper. You can save a lot of time and money mistakes and get self publishing help from an inexpensive author's advocate, not a big company guarding their self interests. Your personal belief system may have coaxed you to sign up for a big expensive training from a big guru on how to be a best selling fiction author, or best selling nonfiction author. Maybe you dreamed of being a #1 Amazon author, or maybe you dreamed of making it big on radio interviews. These trainings have super convincing sales letters that make big promises and claims. These plans usually make only the presenters rich and most of you won't get near the success a few participants had. The sad reality is that authors are reluctant marketers, are introverts or feel incapable. Hope springs eternal and convinces them to follow the best ad copy and sign up. What's a few thousand dollars, when they "might" make it big? Think about using a mentor like a bookcoach or book shepherd. Without a publishing tutor, who has no expensive program, but will guide you over time to manifest your book dream, you may make expensive mistakes in buying what you don't need to get your book out to your audience. Remember most books do not make the Amazon best seller list. Many of you won't even sell large numbers of book, even if you are a guest on Oprah. You have to be a famous guest and be the only featured author on to make big sales like Echhart Tolle. One client who was one of many on the show called me to lament he needed to put up a sales page and it would stand only a week to gain sales. He didn't think it was worth it to change his pitfall copy, so he got almost no sales. In fact, less than 2% of published authors win at these games. You already know that New York publishers don't promote you much. It's all up to you, and it's scary. Maybe you don't know that most Print on Demand (POD) authors do not make money on their books, being one of thousands on their Web site with only a 100 word write up..
Stop Throwing Away Your Book Promotion Money! 1. When you print books, unless you will speak to big audiences 6-8 times a month, print only a few hundred, an amount you can sell in a few months. Those bargain prices for 1500 to 2500 books will cost you thousands of dollars, not allowing you cash flow to spend on the promotional messages you need to get out, or your books will languish and sit in storage, losing value each month. 2. When you budget for book promotion, keep in mind there is no magic bullet in book promotion. It takes author commitment and a little learning curve that is doable when you get small business article marketing coaching. Don't go for hugely priced publicists who can get you noticed somewhat, but not enough for small businesss big profits. Be cautious how you spend your money for your book project. Maybe like me, you can do it all for little time and money, and make a fabulous life time income too. 1. First, get a chapter outline (perhaps mindmapping). Include a fast writing chapter blueprint model for writing a WOW chapter--one that your reader cannot put down. Then, learn from the long-time book coaching professionals who have paved the way for you more about how to write your book fast, and self publishing books such as non fiction, memoirs, or how to books. 2. Know that the costs are far less than you think. Self publishing over 11 books on these topics cost me between $200 and $500 for each print model. Natually you are not good at everything in book publishing. When you turn to entrepreneurial savvy experts such as book coaches, editors, and book designers, they can guide you through to publishing success. That means you won't make espensive mistakes or spend a lot of time chasing impossible dreams with high-power Guru seminars at $2000-$4000 a program. Choose an expert who is an author's advocate and has written books on book writing and self publishing. This person has a lot of experience, and may give inexpensive teleclasses or coaching by phone and email. Start with a good book on the topic. Find these at www.amazon.com or check the author's name in Google to see the offerings. Pros help you get the right help right away to write the right book the first time with little editing needed. A full service bookcoach can shorten your learning curve and help you get immediate profit from book sales with proven book marketing techniques. So, let go of the long, hard trail to traditional publishing, and keep most of the profits and invest a little for huge money results--fast! Synergy Energy podcast broadcast show is for you! Jump in - the water is fine! Media and go for the gold! I want to give you FREE PR Coaching tips to help you get going! what to expect from a PR Coach. "Where do I start? And how can I get my book OUT THERE?" so call in or join the chat room! Of course, the show is a podcast broadcast. You can even share via facebook or twitter to your friends! P.S Want to cut to the chase & plunge? Get to the PR Boot Camp! Also see www.PamPerryPRCoach.com too and join www.ChocolatePagesNetwork.com! Ok, Come on folks. Let's quit sending "drinks, angels and pillows" on Facebook and let's get down to business. Think of this, everywhere you keystroke - you are branding yourself. Get your blog going, get some business going and get your brand right! What does Google say about you? The continuous growth of Facebook makes its use a must for all marketers, professionals and companies. Recently more and more businesses have understood the need to create an online presence on relevant social networks and have begun including Facebook Fan Pages in their social media strategy. According to statistics released by Facebook, 10 million people become fans of a page every day. The relevance of a Facebook Fan Page is recognised by Google also. Typing 'Facebook for Business' in Google brings 600 million results. Facebook provides an exceptional opportunity for visibility, Google indexing, live search ability, and fan engagement. However, creating a Fan Page and having hundreds of fans should not be the ultimate goal of a business, but merely the beginning. Once you add fans, you need to design a social media strategy to keep people engaged to your Fan Page. Most businesses find it very challenging to do so at the moment. 7. Share quality and relevant content, on a daily basis! 9. Incite comments using the Discussions tab! 10. Respond to all your fans! SysComm International provides focused Internet marketing services including fully managed and highly successful Search Engine Marketing and Social Media Marketing, Facebook, Facebook for Business, Google, Google Indexing, Live Search Ability, Posterous, Social Media Strategy. Want personal one-on-one training? Or have it all done for you? too and join http://www.chocolatepagesnetwork.com/ if you are an author. See http://www.nationalblackbookfestival.com/ too! Become fan!